EU Member states have committed themselves to a Common Foreign and Security Policy (CFSP), which aims to strengthen the EU's ability to act in Conflict Prevention and Crisis Management and to influence policies violating international law or human rights, or other policies that don’t respect the rule of law or democratic principles. Proposals relating to legislation or agreements in the areas of CFSP often have implications for the fundamental right to the protection of personal data and relate to the EDPS mission in different ways. EDPS letter concerning various legislative proposals concerning certain restrictive measures, with regard to Iran, in the Republic of Guinea-Bissau, in Côte d'Ivoire, in Belarus, in Tunisia, in Libya and in Egypt. 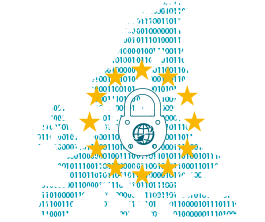 On 20 July the EDPS sent a letter to the three Commission, European Parliament and Council reaffirming his position that data protection principles and necessary restrictions to them should be comprehensively and clearly laid down also in the area of restrictive measures taken by EU institutions with regard to certain individuals. The Commission proposals envisage fighting terrorism or human rights abuses by imposing restrictive measures - notably, asset-freezing and travel bans - on natural and legal persons suspected of being associated with terrorist organisations and/or on certain governments. To this end, the European Commission publishes and publicises "blacklists" of the natural or legal persons concerned. In this case, the restrictive measures are proposed with regard to Mr Milosevic and persons associated with him, in support of the mandate of the International Tribunal for the Former Yugoslavia, and in respect of Eritrea. By referring to two previous EDPS opinions of July and December 2009, the letter recalls that ensuring data protection in this area entails providing adequate information, access of listed individuals to their own personal data, adequate protection when data are exchanged with third countries or international organisations, the effectiveness of judicial remedies, and that necessary restrictions to data protection rights are clearly defined and thus foreseeable. In conclusion, the EDPS stresses that - one year after the first EDPS opinion in this area and several months after the entry into force of the Lisbon Treaty - it is now the right time for the EU legislator to address in a detailed, comprehensive and consistent way the issue of data protection in relation to restrictive measures, developing a policy that would enhance not only the protection of fundamental rights, but also the legal certainty and the effectiveness of the measures taken. Today, the European Data Protection Supervisor (EDPS) adopted an opinion on the Commission's proposal for a Directive on standards of quality and safety of human organs intended for transplantation. The proposal provides for national quality programmes to advance organs donation and transplantation, including a traceability mechanism to ensure that all organs can be traced from donation to reception and vice versa.